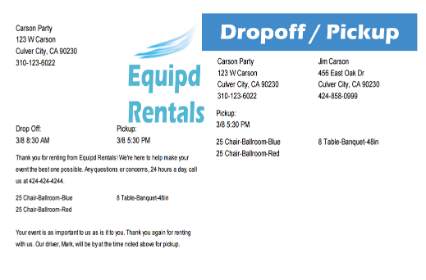 Organize all of your events, equipment and rentals. 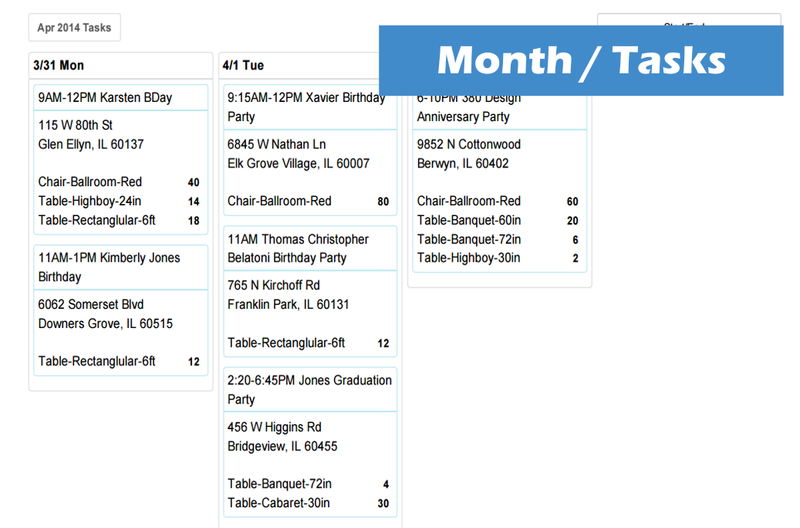 Organize all of your events, equipment and rentals in any of the quick and convenient calendar layouts. 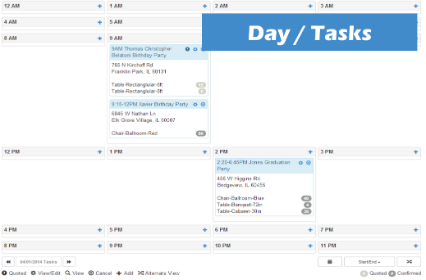 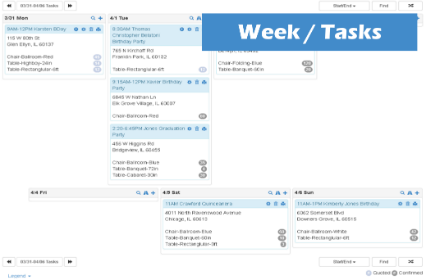 Views can alternate between a Tasks view and a Inventory view for quick access to your schedule. With EquipCalendar, you'll be able to tell, at a quick glance, what items are rented or ready to be rented. Don't you think this information should be right at your fingertips? 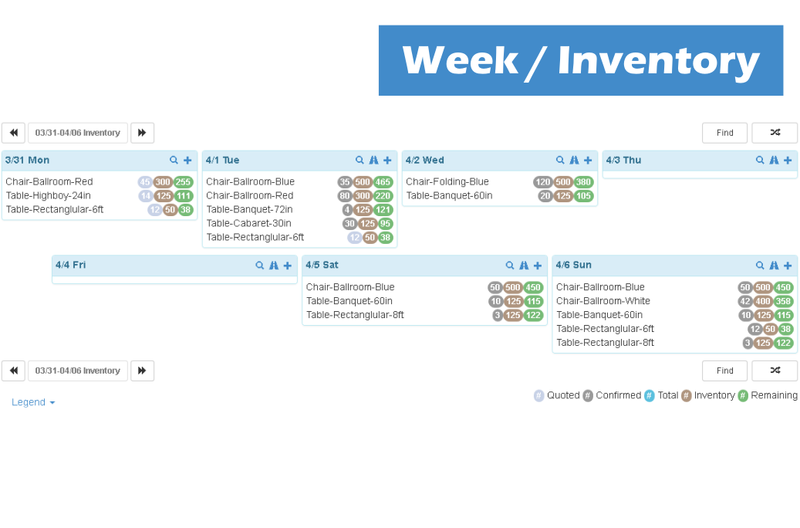 Filter by start time, end time, drop off time, teardown time or pickup time in any monthly, weekly or daily calendar view. 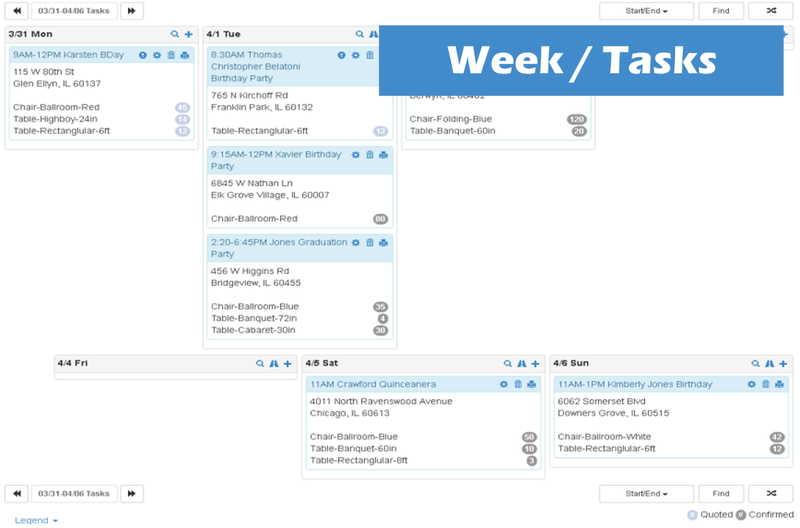 You'll know exactly when the event starts for you, for your client and for your team members. 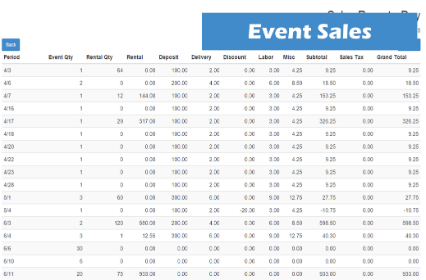 Everything about the event is right there. 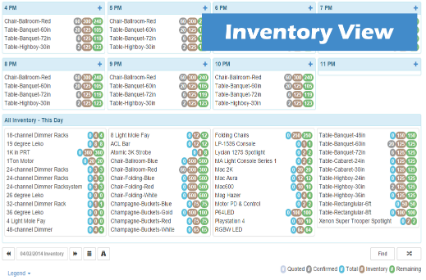 Imagine knowing exactly when your inventory will be available, or how many you have left for the next event you'd like to schedule or quote. 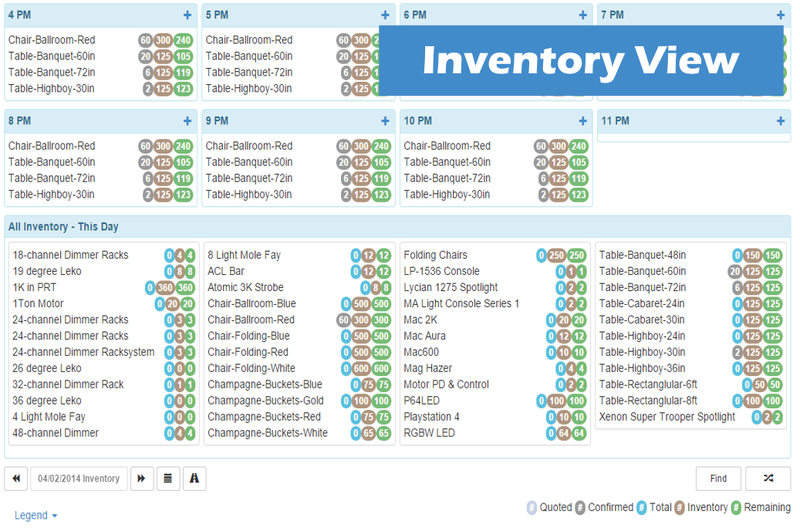 This is incredibly easy with the inventory view option of the calendars. You'll know the quantity quoted, confirmed and the total of both. Most importantly, you'll know the quantity available at any single hour in the day or for the entire day. 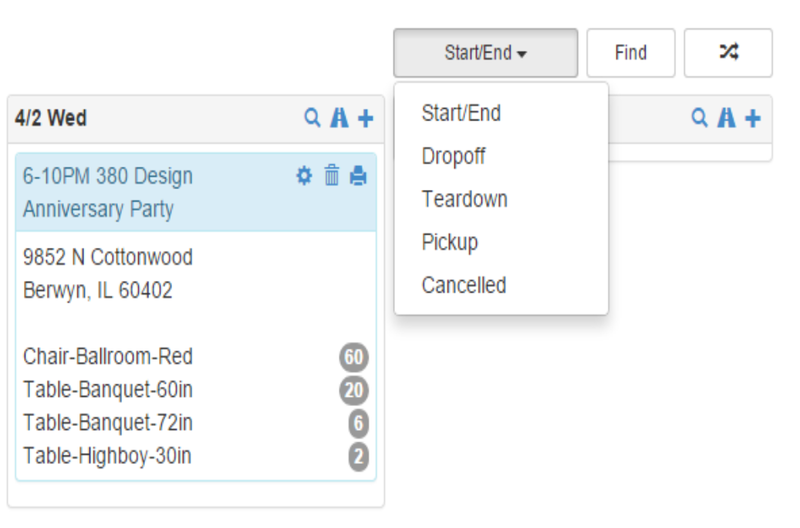 Another great feature is knowing the inventory availability right when you are scheduling an event or when you have a customer on the phone checking availability. Plug in the event date and/or time, or change an existing one, and inventory availability is updated instantly for each and every product. 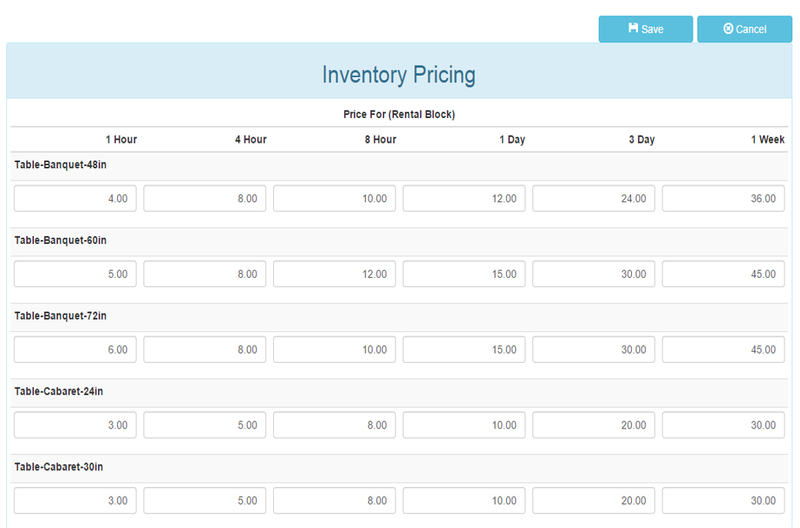 We call them Rental Blocks and they are the standard set of pricing windows (or blocks) you may rent your equipment for. 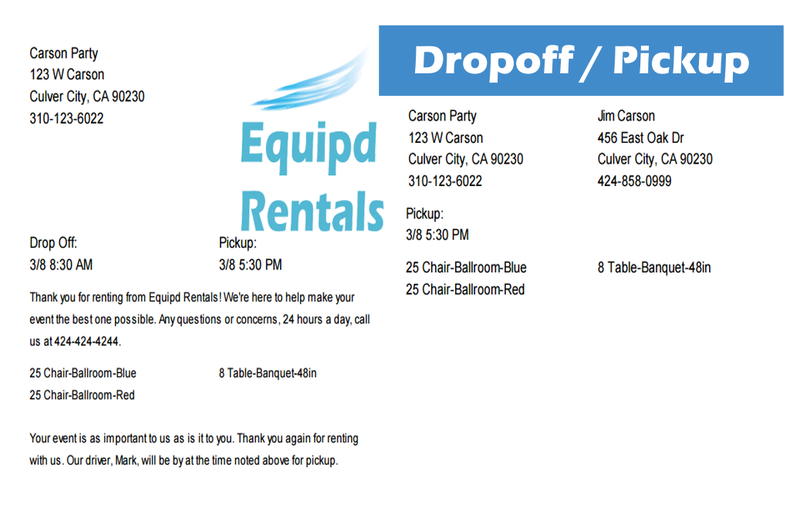 You may rent your equipment for 1 hour, 1 day, 1 week or 57 hours... it doesn't matter. You'll have the flexibility to set it up however you would like. 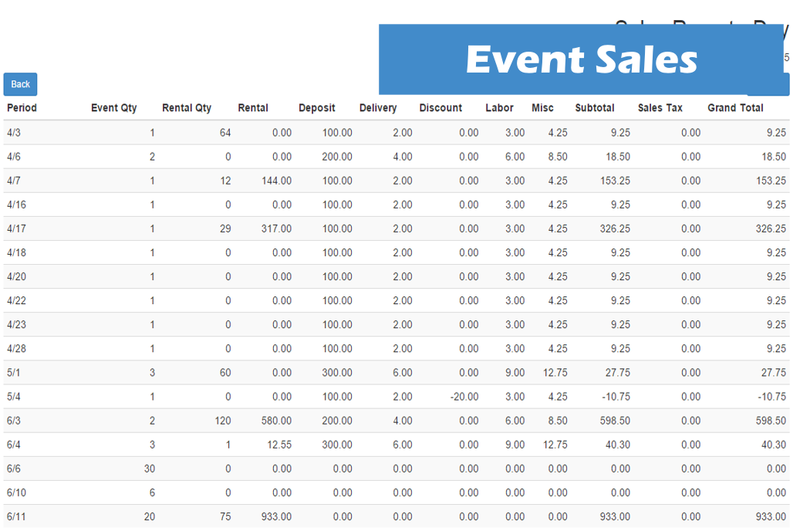 Once your company rental blocks are set, you can price your inventory accordingly, then during event scheduling those inventory prices can be the default price for any event you may quote or confirm. 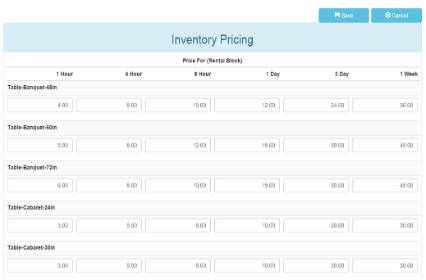 You are not locked in to any price, but it's really nice to have those defaults available to use everytime you schedule. 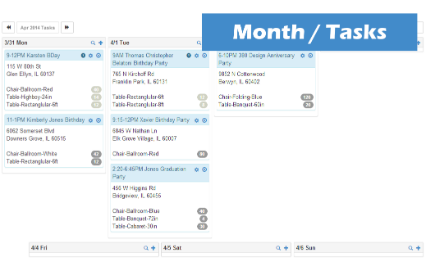 Every monthly, weekly and daily calendar view is printable if you or an employee doesn't always have access to a PC, tablet or mobile device. 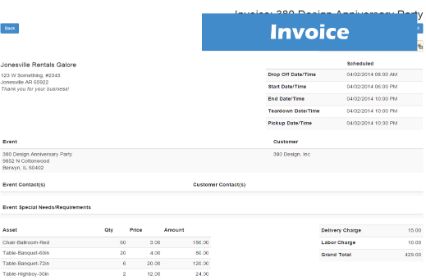 There are also reports for invoicing, work orders and sales analysis. 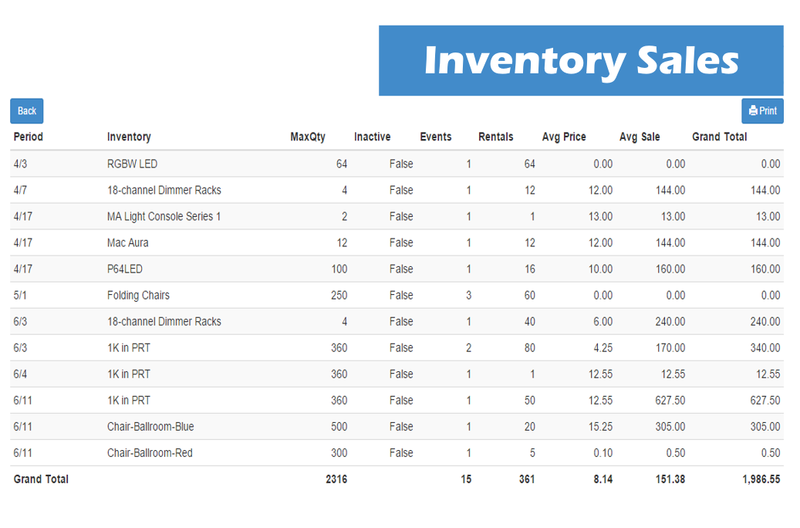 Each of the sales reports is also exportable to CSV (Comma Separated Values). 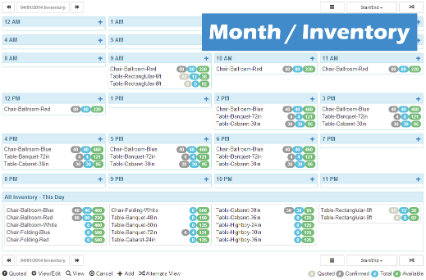 We've worked really hard to make the reports in EquipCalendar flexible and easy to use. 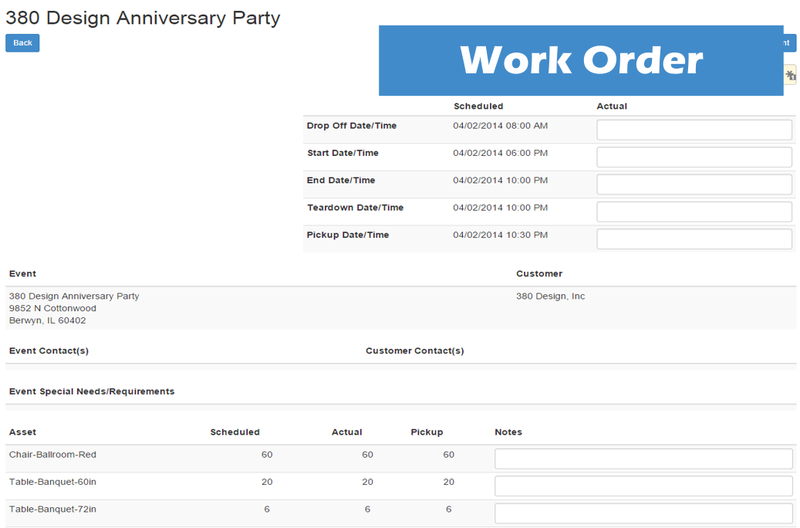 If you are not completely satisfied with a report, or your options to customize it, just let us know. 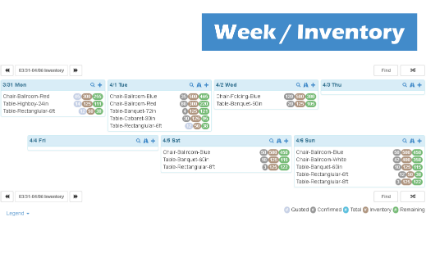 We also want to hear your ideas on new reports, because that is how most of the reports in the system today came to be. 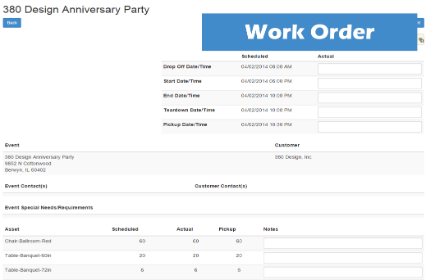 Customers spoke and we listened. 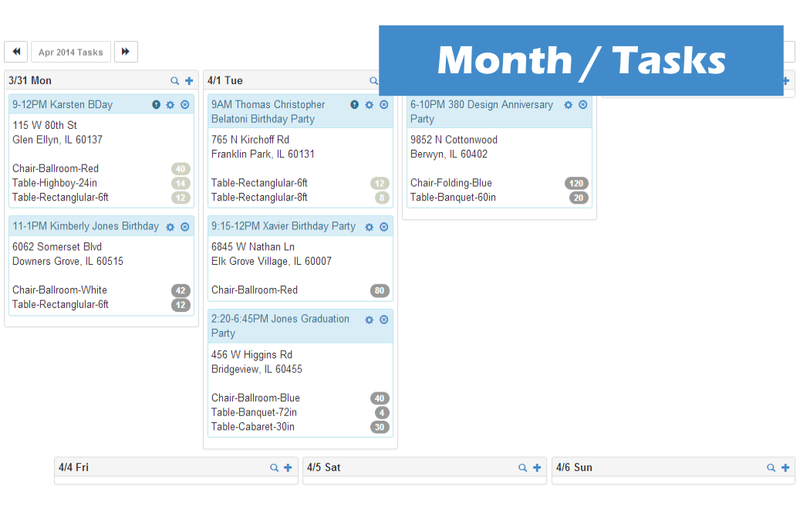 It's called Responsive Web Design and EquipCalendar has it baked right into every screen. 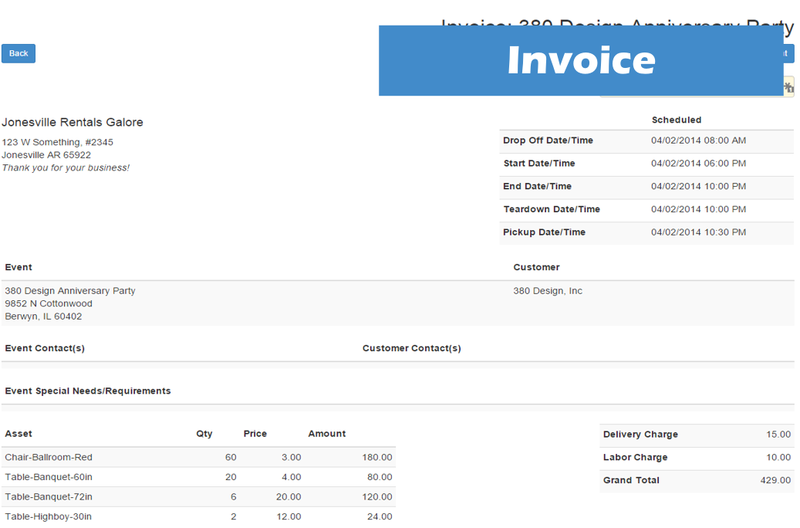 No matter what size screen you have, the application responds accordingly. 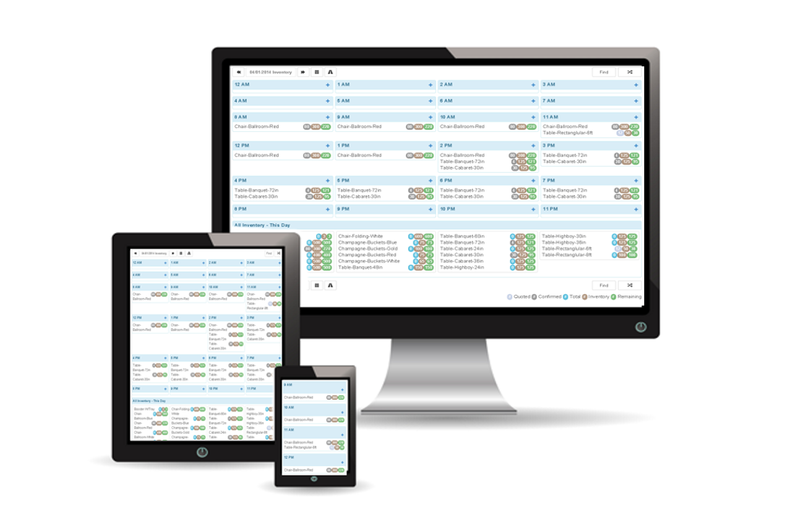 You may use a PC in the office, but a tablet or smartphone in the field, so whether you use PC or Mac, iOS or Android, we've got you covered. 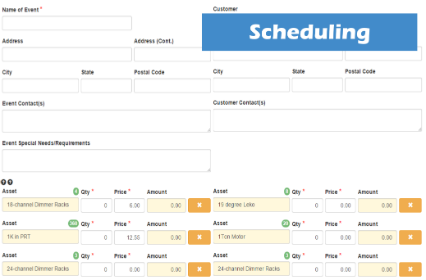 We know that your business operates in real-time, in the field and the go. Why shouldn't your software operate in all of those same conditions, right by your side and available 24x7x365?